This page is intended as an index of contributions to Pre-Convention Discussion, including the new Draft Program of the Communist Party USA. You don’t have to be a party member, a movement veteran, or a scholar of Marxism to participate. We want to hear evaluations of our strategy and tactics based on your experience! 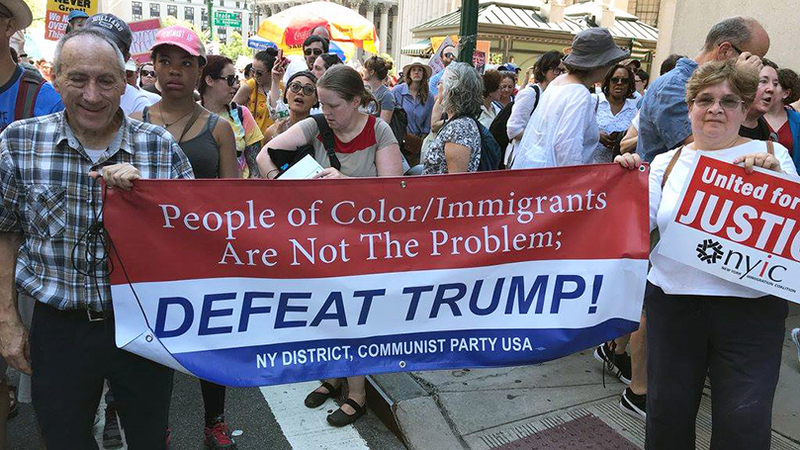 To participate, you can comment on Convention Discussion materials on the Communist Party USA Facebook page and here at cpusa.org. You can also send written or video contributions to discussion@cpusa.org. Use the links below for guidelines and instructions , as well as some questions to stimulate your thinking. Please note that proposed changes to the Draft Program should be sent to the Program Committee at program@cpusa.org. Comments for public discussion, such as those addressing political framework, strategy, and tactics, should be sent to discussion@cpusa.org. Each topic will be the subject of an online discussion. Click on the link below the topic heading to register. What stands in the way of working class power? The Communist Party takes no responsibility for the opinions expressed during the Convention Discussion period. Those views do not necessarily reflect the views of the Communist Party, its leading bodies or staff members. The CPUSA Constitution, Program, and all its existing policies remain in effect during the Convention discussion period and during the Convention.